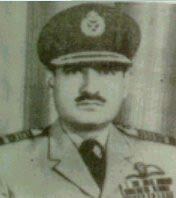 Wing Commander Hakimullah was commanding a fighter bomber squadron during the Indo-Pakistan War, 1971. He led five strike missions against heavily defended enemy airfields. Every mission, led by him, including the first strike against Amritsar, was flown with tremendous courage and exceptional professional skill. He flew with nerve and cool composure, which was a source of inspiration to his team in particular and everyone else connected with operational activity in general. During some of these strikes his formation was intercepted by enemy fighters over Indian airfields. Wing Commander Hakimullah lived upto the highest traditions of leadership during these critical moments and accomplished the primary mission. Throughout the war, his unit inspired by him, flew boldly and without any losses in aircraft or pilot. For his gallant and professional performance, He has been awarded Sitara-i-Juraat. 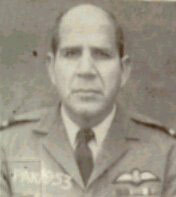 Wing Commander Mahmood Akhtar was commanding a B-57 detachment during the war.From the onset of operations his performance was a source of inspiration to all. His personal example and courage under dangerous and trying conditions were never in doubt. Wing Commander Akhtar always went out of his way to fly the most difficult missions and proved time and again that there is no substitute for professionalism and determination. His example, Cheerful attitude and high moral kept the force together even under the most difficult conditions. He has time and again thrown personal safety aside and has launched missions luring enemy raids at the Base , when he could easily has aborted them . For his courage , leadership and excellent administration he has been awarded Bar to Sitara-i-Basalat. 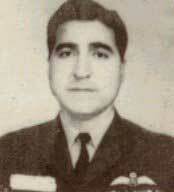 Wing Commander Syed Nasir Yunus was in Dhaka at the time the Army started operation in East Pakistan. He flew many hazardous transport missions for the initial deployment of the army to various places. This included recapture of some of the rebel-held airfields. Many a time, he received anonymous telephone calls to suspend C-130 operations, otherwise he and his crew would be killed. Undeterred by these threats he flew six to eight missions a day. He also flew reccee missions to spot and locate enemy ships that were deployed in the Bay of Bengal. On one mission he was able to locate an element of three enemy ships, which turned to fire on his aircraft, but he was able to evade successfully. 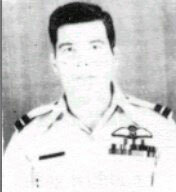 During December 1971, Wing Commander Yunus guided and conducted the operations of his squadron most ably. His devotion to duty has been a source of inspiration to all, Wing Commander Yunus has displayed conspicuous courage, determination and has made outstanding contribution to the over-all achievement of the P.A.F. In recognition of his services, Wing Commander Syed Nasir Yunus has been awarded Sitara-i-Basalat. 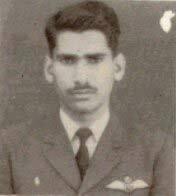 Squadron Leader Abdul Basit was detailed on an air mission against the I.A.F. Base at Halwara on the night of 10/11th December, 1971. He flew the mission as planned. While a few minutes short of the target four surface-to-air missiles were fired at his B-57 aircraft. He displayed great courage, skill and devotion to duty, evaded these missiles, continued on his mission and successfully attacked the target even though there was all the likelihood of the enemy firing more SAM’s. For his courage, determination and devotion to duty Squadron Leader Abdul Basit has been awarded Sitara-i-Juraat. 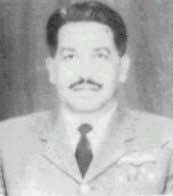 Squadron Leader Farooq Omer was employed on day and night air defence and reconnaissance duties during the Indo-Pakistan war of 1971. He flew reconnaissance mission against heavily defended enemy airfields and forward army positions. He always flew with immense courage and determination. On one of the reccee missions, because of a bird hit his aircraft sustained engine damage but he resolutely continued his mission and successfully completed it against a heavily defended enemy airfield. 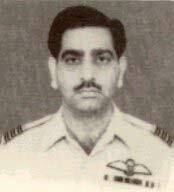 On an air defence mission, Squadron Leader Farooq Omer successfully intercepted an enemy formation of Hunter aircraft and shotdown / damaged four of them. The immense courage and determination displayed by Squadron Leader Farooq Omer during the war was always a source of inspiration to other pilots of squadron. He has been awarded Sitara-i-Juraat. 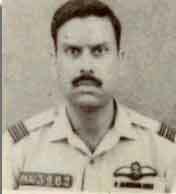 Squadron Leader Ghulam Ahmed Khan was detailed along with Squadron Leader A. Basit on a counter air mission against the I.A.F. Base at Halwara on the night of 10/11th December, 1971. He flew the mission as planned. While a few minutes short of the target 4 SAMs were fired at his B-57 aircraft. He displayed great courage, skill and devotion to duty, assisted his pilot in evading these missiles, continuing the mission and successfully attacking the target even though there was all the likelihood of the enemy firing more SAMs. For his courage, determination and devotion to duty Squadron Leader Ghulam Ahmed Khan has been awarded Sitara-i-Juraat.